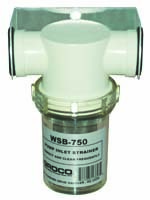 GROCO WSB Series fresh water strainers are designed to keep fresh water pumps and systems running at their optimal performance. #304 SS and Plastic baskets available. Protect fresh water pumps from debris. White nylon strainer head and clear plastic sight glass. 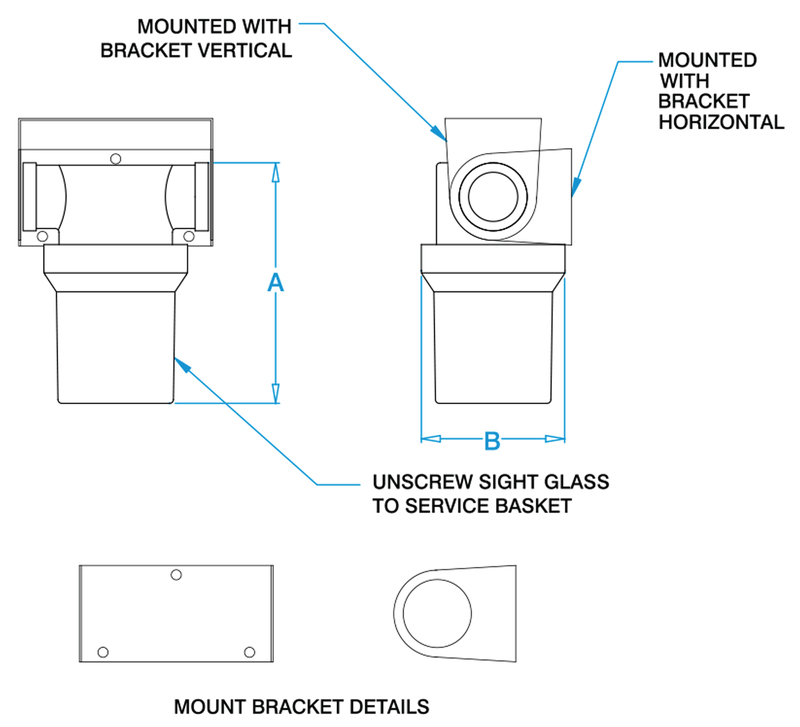 Glass unscrews for filter basket cleaning. Use WSB for fresh-water systems (#304 SS basket). Use WSB-P for salt-water or continuous duty AC or genset.